GarryB wrote: It might be that they were test firing the barrel without the stabiliser engaged to determine that if can fire without the stabiliser turned on. I can understand why they would do those tests, but why release the video? I just know that I would only release the video when all the integral components have been installed on arguably the best tank in the world. You mean you would only make videos of a highly secret new tank just to show off? That is how you give to much information to analysts meaning you feed them information just to be cocky on the internet. Those are companies that make that stuff not Forumers that try to make a point and win some fanboy argument battle. Good thing not to show everything, that gives it time without being pressured by providing enemies with information of its capabilities. If enemy does not know how big your shield and sword is he is going to build a sword and shield with certain limits and expectations in mind in what he believes your armor and weapon is sized to counter it, he might be wrong or right he will see that only later. Provide him to many information before you have equipped your soldiers with your armor and weapons and he will have time to find measures to it. “Testing of 20 units of the new "Armata" tank with unique properties have begun”, said the Deputy CEO of "Uralvagonzavod" Vyacheslav Khalitov to the Russian news service. One of the features of the new machines - is their reduced visibility to the enemy. 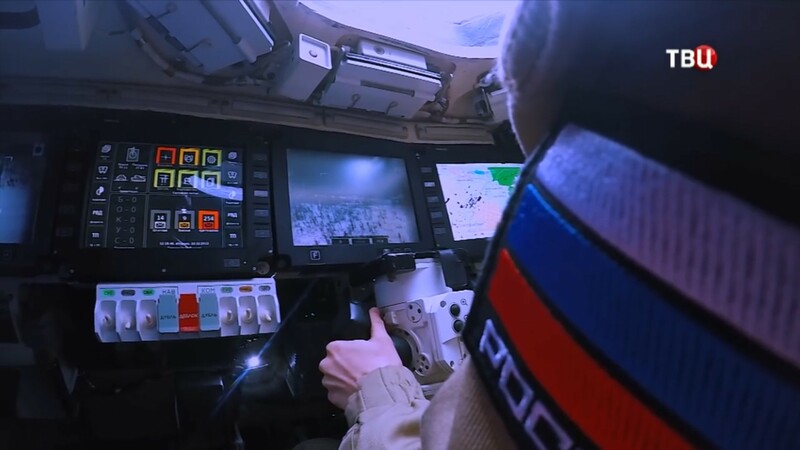 We use GALS-technology — a special coating with reflective surface that does not allow the determining of what the object is, no matter what means of detection the enemy employs: optical, radar or infrared, said Khalitov. All machines of the "Armata" family are equipped with a communication system without the use of radio — information is transmitted via IR-channel. The second unique feature of the new tank is a four-level system of protection. The first level — reduced visibility. The second is active protection, which shoots down enemy ammunition on the approach, controls the air space around the tank, a special program of the onboard computer evaluates the emerging threats and activates the means of interception. The third level is dynamic protection - designed for ammunition that has managed to overcome the first two levels. Finally, the tank's armour is hidden under layers of high-tech protection. In the "Armata" it is a new multilayer, sheet steel, and composite materials. Fine-grained structure, optimized alloying process and special heat treatment made it possible to ensure high protective properties at a reduced thickness of the armour plating. Additional insurance for the crew is the insulated armour capsule, giving the tank crew a chance to survive even during detonation of ammunition. According to Khalitov, other countries will not be able to create an analogue of the Russian tank. “There are reports about a certain joint project of Germany and France. We will see what our colleagues abroad will have to offer. By creating the "Armata" platform, we made a qualitative leap forward that was ahead of them probably 8-10 years. So now creating a likeness of the "Armata" is a replication, but we will continue to go much further”, — said the representative of "Uralvagonzavod". Tested combat vehicles on the "Armata" platform are the T-14 Main Battle Tank and the T-15 heavy IFV. They will enter service in 2016 and 2017. The Ural tank manufacturers are also planning to develop an assault vehicle with 152-mm cannon on the same platform. It will be called "the tank killer." I wouldn't show anything remotely sensitive; none of the important components would be showcased. I wouldn't even show the interior of the tank. I guess I would just love a totally awesome montage of the tank firing its powerful gun -- with its stabilizers installed and I doubt that NATO could glean much from something as superficial as that. It would be great if the Russians used a modified VK-3000 turboshaft engine (connected to a generator) for the Armata. The VK-3000 turboshaft engine produces 3200 hp whereas other tanks only produce 1500 hp. The VK-3000 engine has a weight of 360 kg -- which is incredibly light; to put that into perspective, the Abrams Honeywell AGT1500 engine has a total dry weight of 1, 135 kg. Garry B wrote: Ironically gas turbines are widely used for electricity generation and are efficient for being rather compact generators. the problem with using them as engines in tanks is that they don't do torque very well and variable throttle changes are terrible for fuel consumption. A future arrangement where the gas turbine is just connected to a generator and is run at a constant efficient rate to generate electricity and the wheels are propelled by electric motors drawing charge from the generator and batteries and capacitors it will be a very simple and cheap and efficient way of propelling large vehicles. Such propulsion is already used on Buses and trains using diesel fuel. Stupid question: Could a significantly lighter helicopter like the Rooivalk use the VK-3000 engine if some country wanted these powerful engines in their Rooivalk attack helicopters? The Rooivalk's Turbomeca Makila engine has a total weight of 278 -- which is 25% lighter than the incredible VK-3000 engine. Cyrus the great wrote: It would be great if the Russians used a modified VK-3000 turboshaft engine (connected to a generator) for the Armata. The VK-3000 turboshaft engine produces 3200 hp whereas other tanks only produce 1500 hp. The VK-3000 engine has a weight of 360 kg -- which is incredibly light; to put that into perspective, the Abrams Honeywell AGT1500 engine has a total dry weight of 1, 135 kg. Look at some pictures of the VK-3000. Just look, and your fantasies will quickly be put to rest. For your second question, no, size and fuel constraints plus possibility of vibrational problems due to increased output. Subscribing to the next thread here. Correction... gas turbine engines are not efficient for the prime propulsion of heavy vehicles, but as an electrical generator for an electrically powered heavy vehicles they are ideal. Run without load at optimal speeds they generate electricity efficiently and are widely used for electricity generation on land and at sea and in the air. Werewolf wrote: Gas turbines are horrible for tanks, to much complications, requirements and logistical burden and overall there is no purpose of having 3000shp for a vehicle that weights 48-56tons. Extra HP are consuming fuel without any use for them. Your tank won't win any drag race nor have an acceleration to justify so much SHP, waste of money since such engines already cost 2/7 of the tank itself. That certainly makes a great deal of sense. I was under the impression that a gas turbine engine could be made just as efficient as a diesel engine, but it seems that I was terribly wrong. Another problem with gas turbine engines is that they produce a lot of heat -- four times more heat than a diesel engine, which makes it far easier to identify and target the Abrams tank. The Abrams also makes it more difficult for the infantry to fight alongside the tanks in urban warfare. Thanks a million, Werewolf. With electric drive and perhaps electric armour and of course EM powered gun you are going to need a lot of excess electrical power so having a 3,500+hp engine makes sense because storing electricity is not ideal... creating it as you need it makes more sense for now. It is like putting a jet engine in a mini... performance becomes unbalanced, so it might be faster but also much shorter ranged and likely to occasionally explode. To be fair he did say it was a stupid question. and you raise another point of size of these engines too. Of course another issue is dust... such an engine would need a huge vortex based dust filter that would be bulky, large, and heavy just to ensure the efficient operation of the engine at ground level all the time in dusty areas particularly, but most areas too as sand and dirt will be issues as well. Thanks, Garry. It's really nice of you to explain things in detail. I learned new things from you and Werewolf. Apparently they are testing 152mm guns on the T-14, AND the T-15. Tanks T-14 "Armata" and T-15 "Barberry" should get new guns that will provide them with an advantage over foreign military equipment, the press service of the Industry and Trade Ministry. Developers test the tank "Armata" 152 mm caliber cannon, which is to provide a competitive advantage of Russian military equipment to the Armed SShA.Seychas on a tank of this model is used 125 mm caliber cannon. At the T-15 "Barberry" is also being tested for the use of 152 mm caliber cannon. Experts say that with the help of modernization can not only amaze with 100% ground targets using missiles, but also to fire at the helicopters. Since the T-15's front engine is a no-no for the MBT roll, the only other explanation I can think of is using the T-15 as some sort of assault gun/missile tank. This is the first time I have heard of this Armata modification. The SAA use their Akatsiya's mainly as assault guns, I wonder if the Russian advisers in Syria picked up on it and suggested it be tested. Zivo wrote: Apparently they are testing 152mm guns on the T-14, AND the T-15. Well if the turret module is a "drop in", then why not. But seeing an IFV with a 152mm gun...and we all though the BMP-3 was already a stretch. Ammo will be separated from human bodies (unlike Russia's enemies), 152mm rounds will leave very little room for a crew space, so don't expect anything other than 3 people in the armored capsule in the front, while the crew compartment will be converted to hold maximum ammo. They're probably be testing both the T-14 and T-15 chassis to determine what's optimal for survivability (which favors the T-14 chassis) and ammo storage capacity (which favors the T-15 chassis). Armata is already in serial production?? Nah! A good dose of sarcasm. Perhaps they are testing the 152mm gun in the chassis with the engine in the front to test rear hull loading procedures/capabilities. Having a rear mounted engine is best for a tank because the rear is the safest place for an engine which would offer no real advantage as armour but would increase the frontal heat signature if mounted in the front. In terms of reloading ammo into the vehicle however, like on the artillery vehicles like MSTA where ammo is hand loaded into the rear of the turret for storage inside the turret on the MSTA, it could make operations easier if ammo could be hand loaded into a rear hull automated loading magazine... something not really possible without a huge turret (ie like MSTA) or a rear mounted engine that would block loading ammo into a hull mounted magazine. Russian armored units based on the Armata Universal Combat Platform will get new upgraded active protection systems by the end of the year. The new ultraviolet (UV) detectors soon to be installed on T-14 Armata battle tanks and T-15 Armata heavy infantry fighting vehicles (IFV) can detect rockets and grenades approaching from any direction, thus drastically improving the vehicles’ active protection systems' efficiency. "The UV detectors have already been installed both on the T-14 tank and on the T-15 IFV and are currently undergoing tests as part of the Afganit active protection system. We intend to complete the project by the end of the year," a source in the Defense Ministry who is familiar with the issue told Izvestia newspaper. The new detectors trace the UV photons in the trail of ionized air left by a rocket-propelled projectile. The system doesn't just detect a rocket launch; it evaluates the projectile’s speed and trajectory, supplying the active protection system with all the data it requires to successfully intercept a threat. According to the newspaper, the Afganit active protection system previously relied only on small radars installed on four sides of a vehicle to detect incoming projectiles. However, this radar system could theoretically be 'confused' by a large volley of shells, rockets and even fragments of debris flying around during a battle, or even suppressed by enemy electronic countermeasures. The addition of these new UV detectors, however, drastically improves Afganit’s efficiency, thus increasing a combat vehicle's chances of survival during fighting. “The Armata is a source of major concern for Western armies” were the mild words which The National Interest defense editor Dave Majumdar attached to the news that Russia’s new T-14 Armata is already in production. Moreover, just as two strikes brings the out-maneuvered player dangerously close to the third, final strike, so is this “major concern” stuttered by Majumdar twofold. Firstly, the hordes of “Kremlinologists” and Western defense analysts hellbent on forging a picture of an economically devastated and hopelessly desperate Russia fell for their own trick. They did not anticipate that the T-14 would already be in production, much less that the project would still be pursued despite economic slowdown. Secondly, and perhaps most concerning of all, not only is the T-14 already becoming a serial-produced reality, it is indeed a terrifying and shocking reality for the militaries of the US and NATO which have been flexing their muscles and creeping towards Russia’s borders, all the while unprepared to face the new T-14. The innovative and state-of-the art T-14 first publicly displayed during the 2015 Victory Day parade in Moscow represents a new generation of tank which, as Majumdar worryingly quotes, “will change battlefield dynamics by increasing the importance of cannon, anti-tank guns, and tanks,” the very factors for which the Armata is expected to give the advantage to Russia. All of the scenarios or factors that prove a tank’s worth as laid out by Majumdar for The National Interest seem to point towards the Armata T-14’s superiority. “[T]he best way to survive on the battlefield is [sic] to not be seen in the first place” or “a question of who sees the other first”, Majumdar writes. Not only has special attention been paid to guaranteeing a reduction in the Armada’s radar and infrared signature, but, in the case of being detected, the T-14 boasts a secret composition of double-layered explosive reactive armor, passive armor, slat armor for grenade-vulnerable areas, and “perhaps the most impressive feature,” the Afghanit active protection system which “uses a 360 active electronically scanned array radar and a potent electronic warfare system to disrupt the guidance of incoming rounds” plus a laser guidance jamming countermeasure and interceptor rounds that might prove to be effective against kinetic energy rounds. In terms of adaptability and technological points, the Armata represents a complete departure from the Russian tank design tradition handed down from the Second World War which NATO militaries have trained to fight against. The advanced technological features of the T-14 include “what immediately sets the Armata apart from any other operational tank” - an unmanned turret which, touching on yet another crucial factor of tank warfare, means unparalleled crew survivability. These game-changing leaps stand in stark contrast to the United States’ persistent reliance on upgrading Cold War version tanks. The T-14, in addition, is not alone. 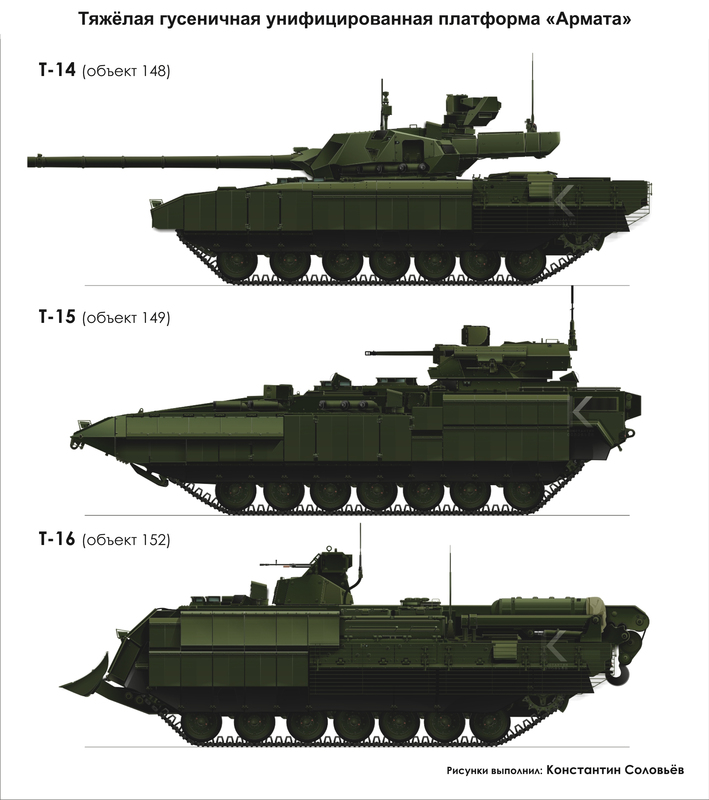 The 2,300 that are to be produced by 2020 come in a larger set, the Armata Universal Combat Platform, which includes the T-14 tank itself, the T-15 heavy infantry fighting vehicle, and the T-16 armored recovery vehicle along with a companion of other support vehicles, self-propelled artillery, and equipment which make the Armata Platform a strike or defense force all by itself. As a whole, as NATO analysts feared, the Armata T-14 is 20 years ahead of the West. In response, Germany has sought to increase the firepower of its Leopard 2 and is scrambling to develop plans for a new battle tank, the Main Ground Combat System. The US, on the other hand, is striving to make its Abrams tanks lighter and more mobile with sleeker guns. But these are all just reactions and attempted compensations. NATO has not only underestimated Russia’s ability to realize the Armata project, but also seems unprepared for the fact that the Armata is a new generation of tank for a new generation of warfare. Meanwhile, NATO militaries and their American overlord seem to just be fiddling with weapon sizes, mobility, and target distance. Despite having described the breathtaking features of Russia’s intimidating new tank which, according to his own standards, threaten to overwhelm NATO’s armor, he rests assured that “the specter of a massive armored Red Army juggernaut smashing its way through the Fula Gap is long past” and that "there is the question of whether the T-14 can be produced in numbers…given the state of Russia’s economy.” Such self-assurance is the same arrogance that bit NATO propagandists in the tail when the T-14 entered production. By the time that NATO’s yes-men realize that they’ve brought knives to a gunfight, or Abrams up against the T-14, it’ll be too late to call off their crusade charge of “democracy and human rights” against Russia’s new St. George ribbon-adorned Armata cavalry. Majumdar, Dave. "Surprise: Russia's Lethal T-14 Armata Tank Is in Production." The National Interest. 13 March, 2016. Majumdar, Dave. "Russia's Armata T-14 Tank vs. America's M-1 Abrams: Who Wins?" The National Interest. 11 Sept. 2015. Some of the linked do not work. Look at the center monitor. Is that live video feed from a UAV?